Image 080, is a request off a friend who wanted an image with pink in it… so here it is… a Whooper Swan flying against a very pink wintery sky 😉 . The sun was just about to set at this point, and due to there being heavy snow clouds covering the sky, the last rays of the sun sent everything this strange ethereal pink colour. 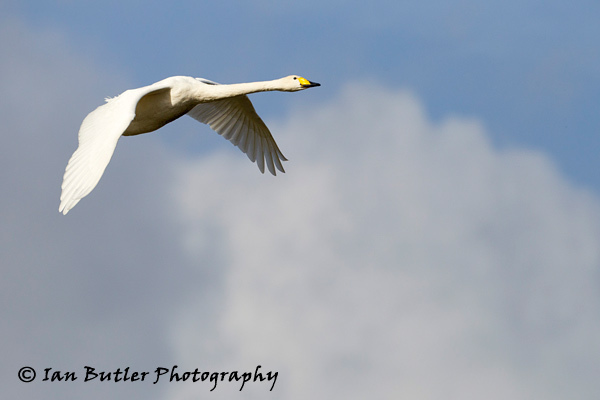 Im just glad the Whooper Swan flew past! Whooper Swan, Cygnus cygnus, Norfolk, November, 2010. Canon 1D mkIV with Canon 800mm f/5.6 lens. Image 011 is of an adult Whooper Swan flying against some nice fluffy clouds. I was at Slimbridge WWT in Gloucestershire when I took this image, and expected the white bird with a yellow beak flying towards me to be a Bewicks Swan as Whooper Swans are quite scarce here. 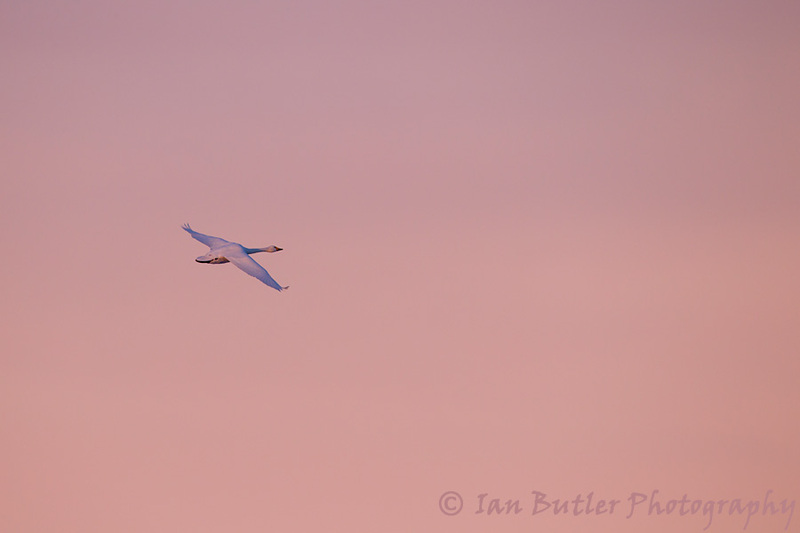 I later realised, after editing my images that this indeed was a Whooper Swan. Unexpected bonus!! Whooper Swan, Cygnus cygnus, Slimbridge WWT, Gloucestershire, October, 2010. Canon 1D mk4 with Canon 500mm f/4.0 L IS lens.